A garage door seal is also referred to as a rubber astragal or a weatherstrip. It goes on the bottom of the garage door to protect the inside of the garage from water and heavy winds. Sometimes a garage will have a steep driveway and will need extra protection from heavy rains as flooding could occur inside the garage without a seal. A rubber astragal will need to be replaced more often in places that experience a lot of snow and rain. It will take no more than 15 minutes to replace the seal especially if you have someone that can help you. Check to see if the garage door seal is cracked or ripped. These are rubber seals that need to be replaced if they are not holding back wind, rain, or snow from coming into the garage. Remove the seal by first opening up the garage door and then sliding it out from one end of the door. Measure the length of the door. 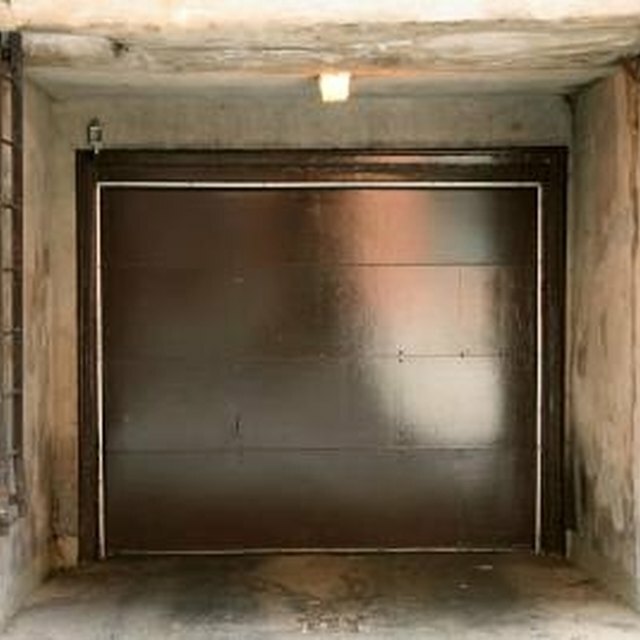 Take the measurement across the bottom of the garage door. Then purchase a seal that matches the length of your garage door. Decide if you want to face the lip in or outside the garage door. If you have a driveway that is slanted downward towards the garage door, then you will want the seal to have the lip inside. Otherwise the lip will need to be placed on the outside of the door. Slide the new seal into the groove on the bottom of the garage door. Some garage doors will require a seal that has its own groove and it will be harder to slide the seal on. Begin by placing the groove of the seal to match with one end of the garage door. Then slowly move the rubber seal towards the other end. It would be good to have two people for this. The other person can guide the rubber to the other side of the garage door while you continue to feed the seal from your end. Garage doors that have the groove is much easier to work with by placing the end of the rubber into the groove of the door and feeding it through to the other end. Cut off any extra seal. Use a utility knife for a smooth slice of the rubber. Make sure the cut is as close to the end of the garage door as possible to avoid interference when shutting it as well as damaging the seal. You can add additional seals on the sides of the garage door by nailing it with finish nails. Be careful not to stretch the seal when fitting it onto the bottom of the garage door. This will decrease its ability to protect the inside of the garage from bad weather.